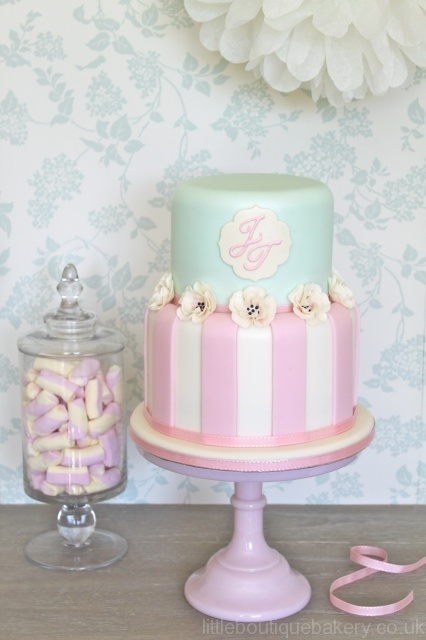 Last weekend we worked with the very lovely and talented Nicola Hall from Hall of Cakes. With a seven-tier wedding cake to manage there were nerves of steel required, but as usual everything went without a hitch. We got the chance to catch up with Nicola during the preparations and ask her about her work…. 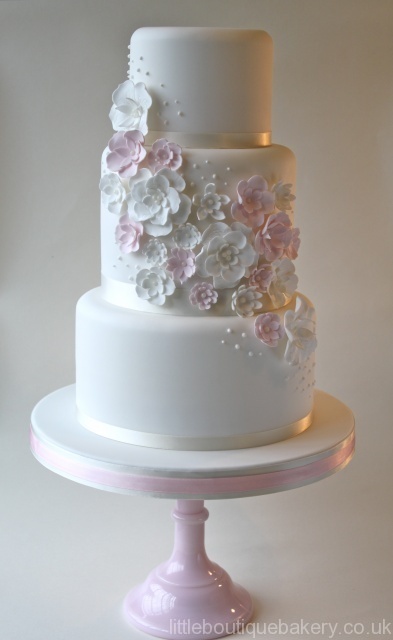 Nicola says “I have been making cakes for about 8 years which started with a christening cake for a friend. It just evolved from there and when I started Hall of Cakes I wanted to bring back the original skill and art of Sugarcraft, creating cakes with real grandeur. I wanted my cakes to be totally different and really deliver that wow factor. “I absolutely love history and have a particular interest in architecture. We have amazing historical buildings in England and much of my inspiration comes from them through cornicing, fireplaces, ceiling roses and all their beautiful detailing. I’ve been to Buckingham Palace three times and find more and more to inspire me every time. Recently I visited Osborne House, the home of Queen Victoria, on the Isle of Wight, which was totally stunning. My notebook was literally full of ideas to try! 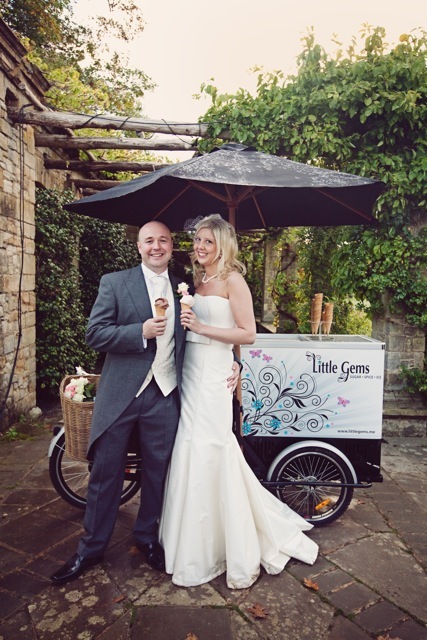 “The best thing about my job is when I receive a lovely thank you from a bride and groom – like I did this morning. It makes the sleepless nights, the anxiety of getting it to the venue and the long hours in the kitchen all worth while. And finally we asked Nicola what her favourite type of cake is “without hestitation it’s got to be carrot cake” says Nicola, “which we double fill with an orange zest buttercream – it is totally gorgeous!”. Sounds perfect to us! 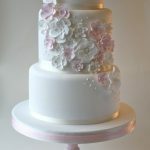 For more info about Nicola and her amazing cakes visit www.hallofcakes.co.uk. Another superb Kent wedding supplier on the blog today and I couldn’t be happier as it’s all about cake – one of my favourite subjects! 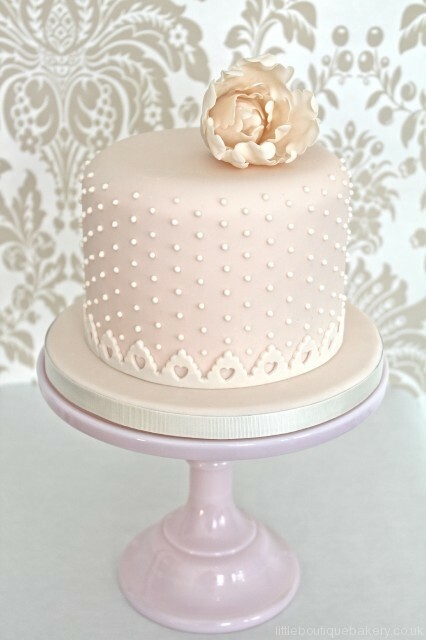 “As you can see I love pretty and vintage styles, but I work on all different cake styles. My customers usually want something that is slightly bespoke, which is fantastic as it makes no two days the same for me. It’s such a compliment when people say the cakes are too beautiful to eat but of course it’s always about the taste as well. The best part is when you watch someones face as they see their cake – whether it’s a birthday cake or a wedding cake, it’s just a magical feeling. It makes all the late nights worthwhile! “After an initial chat on the phone, I first meet my couples at a complimentary consultation when they come to my home kitchen, sample my cakes and talk through their plans. 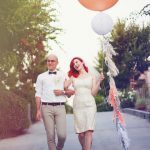 Each couple are unique – some bring mood boards, some have images on their phone and others have no idea where to start! With lots of cakes on display and with my design advice, by the end, I am able to follow up with a quote based on their exact requirements. 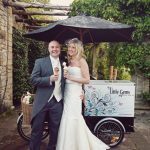 “Turning my passion into a business came about when I was made redundant and my sister and sister in law asked if I would make them cupcake towers for their weddings. The comments and positive feedback received made me think about starting professionally and so Sprinkles and Swirls was born! I love meeting new people and really enjoy creating something that brings happiness to others. It’s such a lovely moment when someone sees their cake or cupcakes and I know I have totally exceeded their expectations! In part five of this Dream Jobs blog series we meet a cake maker who just adores designing and creating beautiful bakes. 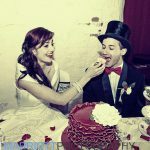 Emma Buchanan, is the lady behind the sweet treats at Array of Cakes and today tells us why she loves her job so much. Lets find out more…. 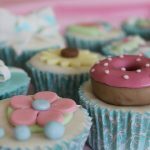 How did you become a cake decorator? I have always baked and studied catering as part of my college diploma but the idea of setting up as a cake making business first came to me when I made roses for my own wedding cake 6 years ago. I loved it so much that from then on I spent every spare moment making cakes and learning different techniques. 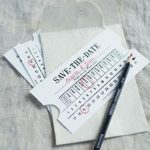 My approach to each design changes depending on the requirements of my couples but my favourite style is definitely vintage. Whether I’m making a traditional wedding cake, something more extravagant or simple cupcakes, I love adding lacing, patterns and soft colours to give the cake an impressive, yet understated visual effect. What personality traits do you need to be a good cake maker? First and foremost you need to be a people person and be able to offer clear design advice so couples have a cake that exceeds their expectations. When it comes to actual baking tasks you must be well organised and methodical, especially when you have a number of orders over the course of a week. High standards are extremely important – each cake that leaves my kitchen must be top quality to ensure my customers are satisfied and that I maintain my reputation. What are the best & worst parts of your job? The worst thing is the long hours. I often find myself working into the early hours to make sure a cake is perfect, which can be quite lonely. I am very lucky though as I have a fantastic network of fellow cake makers who are always available to offer support and advice when I need it – there are often online chats at 3am to keep each other sane! The best thing by far is creating a cake you are really proud of and that you have a very happy client at the end of it. It makes the long hours worth it. What’s the top three things that wedding couples ask about first? 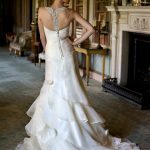 No two couples are the same but most discussions start on the design, the budget and the logistics – my availability, delivery, etc. The design aspect is very important to get right. Some couples have very specific ideas about what they want, others will have seen my work and what something similar, or occasionally there are couples who’ve not given it any thought at all! Whatever position people are starting from I always take a collaborative approach and offer a free tasting and consultation. The best weddings always have someone who is responsible for co-ordinating the day and can be contacted during the run up to the wedding. Whether it’s the venue, a wedding planner, or a trusted friend. The event doesn’t have to be meticulously planned but the last thing you want to do on your own wedding day is deal with queries and have concerns about all those jobs that need doing, such as whether the room has been prepared properly or the cake has been delivered, etc. What is your best piece of business advice to aspiring cake makers? Make sure you have the support of your friends and family. Most cake makers these days are based from home and the business does tend to take over the kitchen so you will need a very understanding family who will support you and understand that they may not get dinner! What has been your best moment as a wedding cake maker? I had a wedding cake which unusually I had to deliver the day before the wedding. I dropped the cake off and a few hours later when I was back in my kitchen the Bride turned up in floods of tears with some flowers to say thank you for the beautiful cake. It was an amazing feeling that someone on the day before their wedding would go out of their way to do that, I was really touched. Thanks Emma for sharing your job with us. Don’t forget to take a look at other posts in the series. 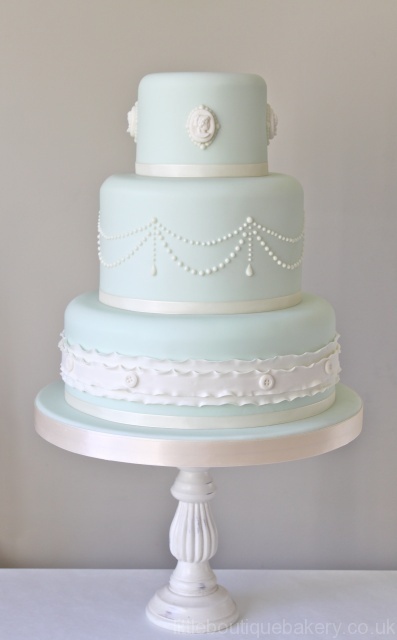 I’ve got six weeks to get in my dress for a Christmas Ball and am trying to resist temptation, so today is mega hard to be looking at gorgeous cakes. It’s got to be done though as we have a fabulous Fantastic Find to share with you. We met cake designer and Owner of Array of Cakes, Emma Buchanan last month and had a sneak try of her gorgeous range of wedding cakes and cupcakes. When it comes to choosing your cake Emma says “cupcakes have become more popular over the last few years but we still see many brides wanting a traditional tiered wedding cake, which can be made with a mix of layers including sponge, chocolate and traditional fruit.” As well as wedding cakes and cupcakes you can also choose from a fantastic range of cookies, which make perfect wedding favours. Don’t forget as well to try Emma’s Carrot Cupcakes as they have won her a Great Taste Gold Award. Emma delivers free within a three mile radius of her Tunbridge Wells base, although she does cover all areas of Kent, Sussex and Surrey. Visit her website now to see her full range of delicious temptations! God help me – that dress is never gonna fit! Nothing is more quintessentially English than a cup of tea partnered with a biscuit (or four in my case!). 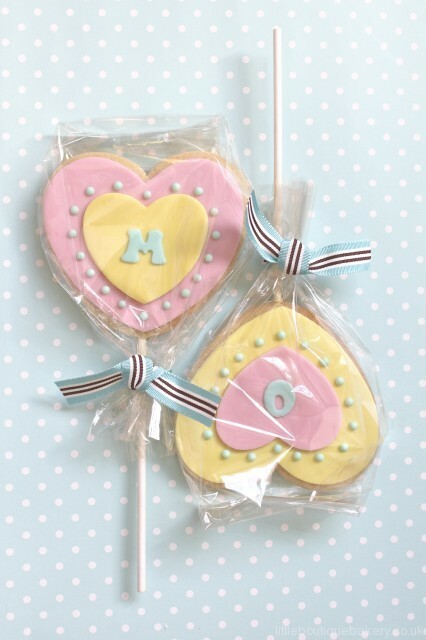 These gorgeous biscuits from Little Boutique Bakery are fabulous as a wedding favour which your guests can gobble up there and then or take home to enjoy after a long day partying! There are so many designs and colours to choose from to suit your theme perfectly. Why not give them out with teabags adorned with your own homemade tea tags for that extra special touch? Images with thanks to Little Boutique Bakery for images in the post. 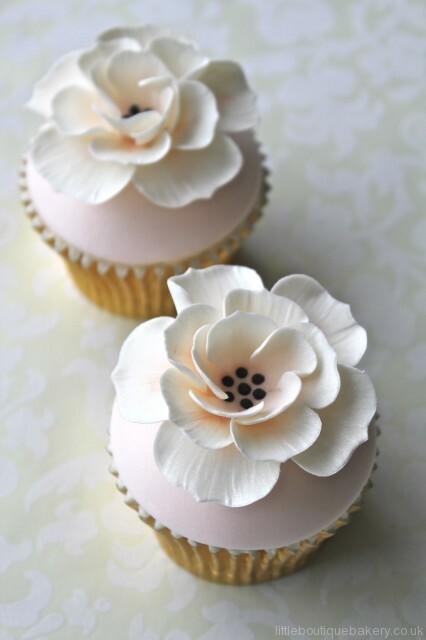 Cakes are generally the one thing that keeps the Wedding Dolls going during the week so today we’re a bit over excited to share with you Vintage Rose Cupcakes. 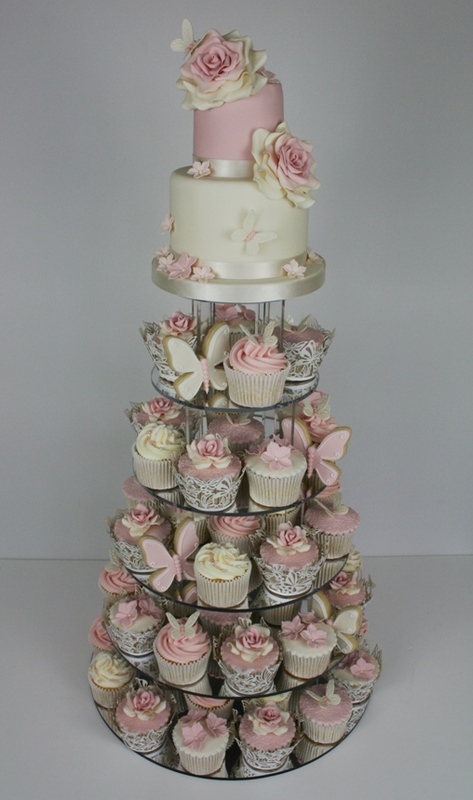 In our book cupcakes make any occasion special but they work so well for an alternative wedding cake. 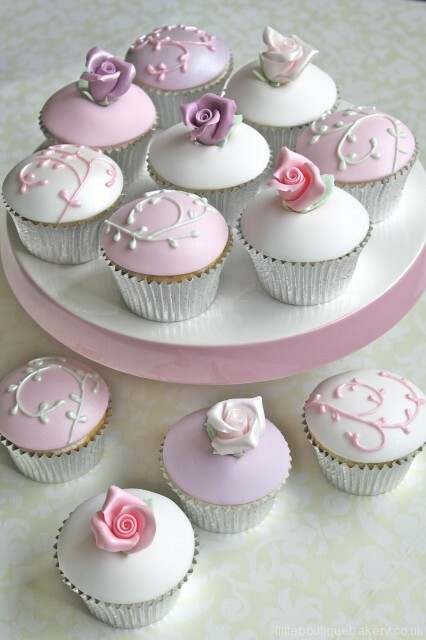 Vintage Rose Cupcakes specialise in creating stunning cupcake towers and can provide big or cute little cupcakes in a variety of flavours, as well as a top tier cake if you’d like to have one to cut. 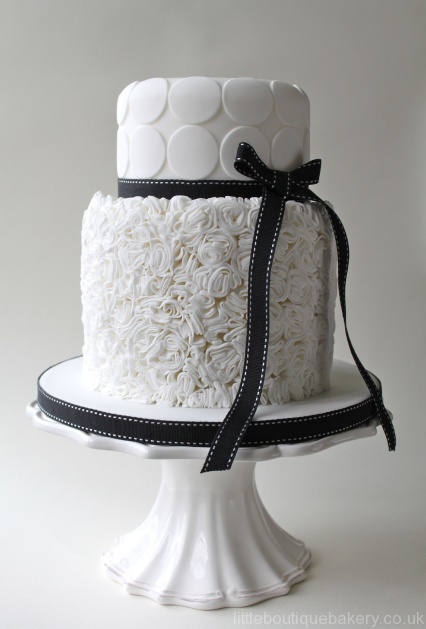 Their cupcake recipes can also be made larger so you can get the best tasting tiered wedding cakes as well. One to add to our speed dial list! We love it when we get contacted by gorgeous suppliers who offer something that little bit different. 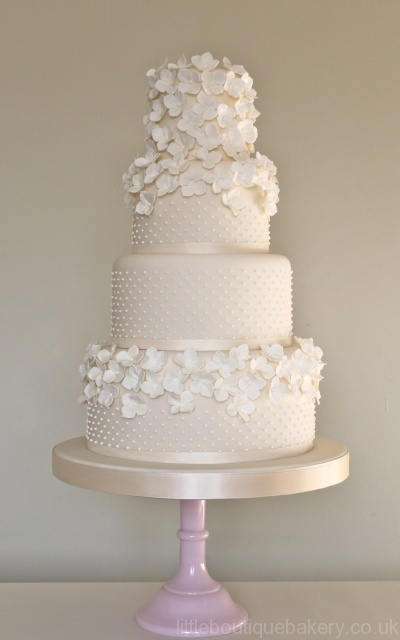 Frenchmade is run by Lauren Grassi, who offers desserts tables, wedding cakes and favours all with Anglo-French flair. Dessert tables include a great selection of cakes and sweets such as madeleines, macarons, pies, tarts, tiered cakes, cupcakes, mini cakes, cannelés, biscuits, chocolate mendiants and financiers. For your viewing pleasure here’s her vintage styled dessert table (which was for a birthday) but she can work around any theme to suit you and offers a free consultation. What’s more there is currently 20% off all favour orders. I’m a big cake fan. The biggest. There’s not a single type of cake I don’t like and so I’m in heaven when it comes to helping brides source wedding cake and sweet treats. So today I’m very excited to share with you Little Boutique Bakery of Tunbridge Wells, who are makers of gorgeous wedding cakes, cupcakes and cookies. Their cake flavours include Madagascar vanilla, chocolate truffle, lemon and orange zest, as well as the more traditional rich fruit cake and the list of fillings is enough to send me over the edge. Buttercreams of Madagascar Vanilla Bean, Belgian Chocolate Ganache, White Chocolate, Organic Lemon, Orange Zest and Salted Caramel, all of which can be teamed with quality preserves of Strawberry, Raspberry, Morello Cherry and Apricot plus Organic Lemon Curd. 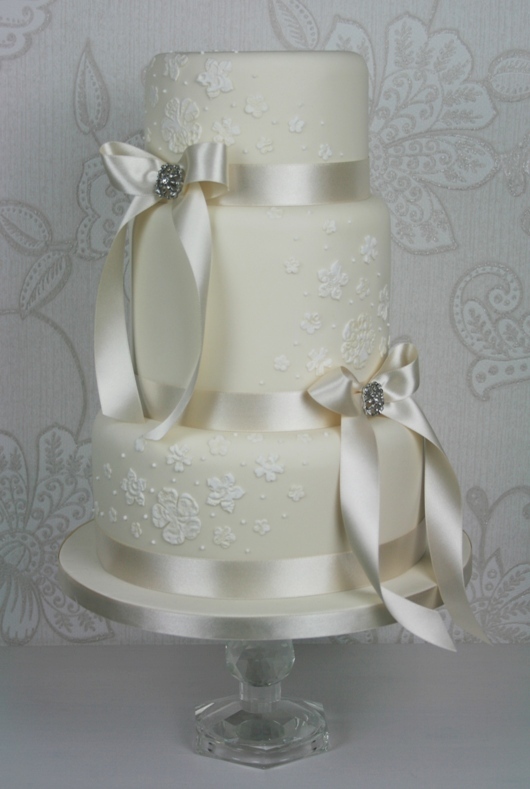 Jennie will ideally need a minimum of three month’s notice to create your wedding cake so booking early is advisable. 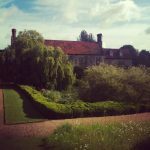 Delivery is available in Kent, East Sussex and Surrey. And lastly, if you need a taste tester you know where to find me…. 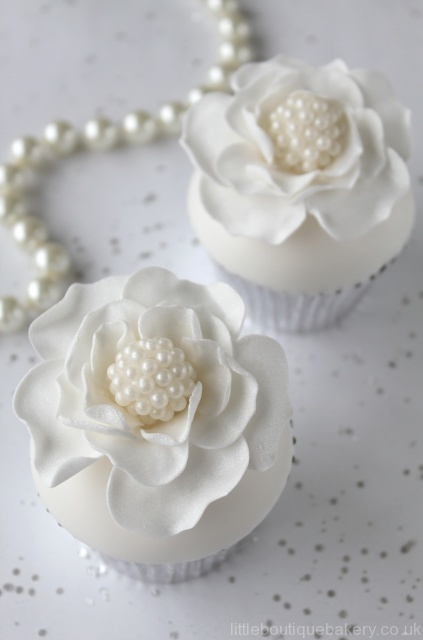 Learn how to make wedding cookies, cupcakes and cake toppers or find out the secrets of perfect piping at Kent Cake School, Sweetie Darling. 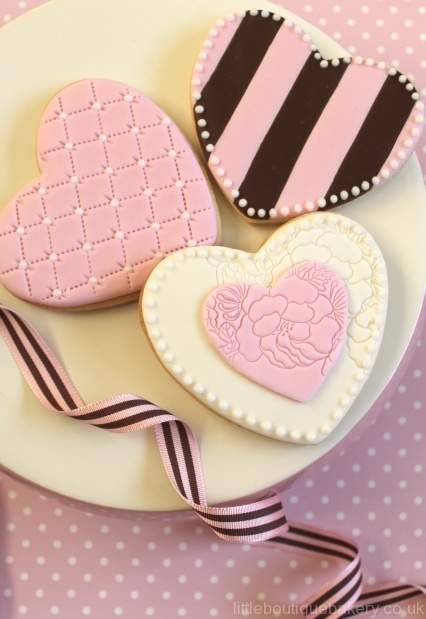 March courses include making couture cookies, which can be used as favours for guests, or learn how to stack your own wedding cake for a chance to DIY some of those wedding jobs. 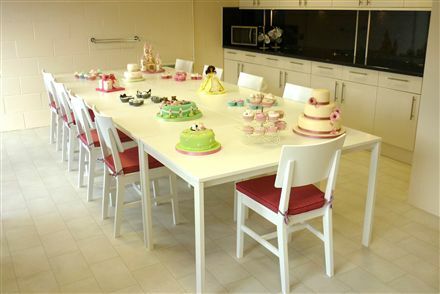 Day courses start from around £65 per person and include icings, buttercream, edible materials and the use of all the equipment needed. You only need to bring an apron (and sometimes a cake!). 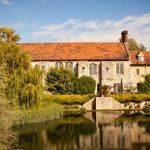 Billie Loveland, who runs the school, limits each course to only eight places, which means you will get all the one-to-one tuition you need from their lovely teaching rooms near Canterbury. Visit their website to find out more and book your place.